Once this was the Gardener's cottage at the Belle Vallee estate. Now it is a calm retreat set in 18 acres of private grounds. The cottage has it's own large private garden and parking. Outside it is equipped with barbeque, recliners and dining table and chairs. Inside is a cosy lounge/diner, with open fire, kitchen, double bedroom, twin room and shower room. Facilities include French television, dvd player, free wifi, cooker, dish washer, fridge freezer and microwave. Included is electricity,, wood for the fire, linen, towels and cleaning. 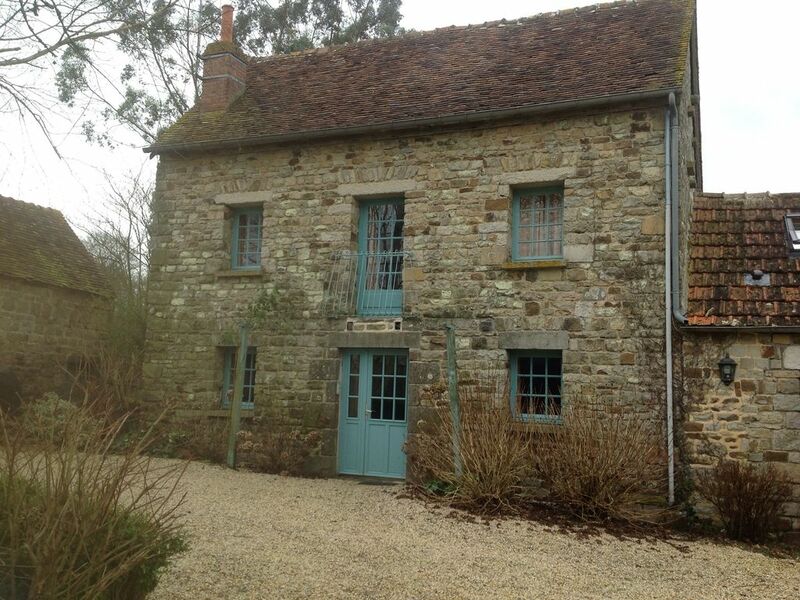 Belle Vallee is a perfect base to explore the beauty of Normandy. Cycling and walking are popular activities for our guests as is relaxing in the garden. Within easy reach are Mont St Michel, the Landing Beaches, Bayeux, and Alencon. Domfront is a recognised site for Poiré - the local pear cider.